The collection contains detailed information about writing and formatting personal and business letters in Spanish. 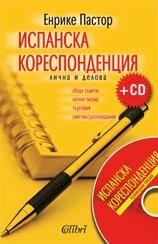 Also it includes a concise Spanish-Bulgarian / Bulgarian-Spanish dictionary. Also you will learn how to greet someone, to thank him/her, to express your sympathy, to offer condolences, to introduce yourself, to say goodbye, etc.